Smoke clears. Agony and anguish ebb. The fallen depart. The integration of AusAID into the Department of Foreign Affairs and Trade—the greatest revolution in Australia’s foreign policy bureaucracy since 1987—is done, if not dusted. The word the new Prime Minister, Tony Abbott, used in announcing the revolution in September 2013 was ‘integration’, to enable the ‘aid and diplomatic arms of Australia’s international policy agenda to be more closely aligned’. Integrated and aligned is a polite way of saying DFAT swallowed AusAID, then spat out a lot of people. Abbott was aligning cash and the cachet. 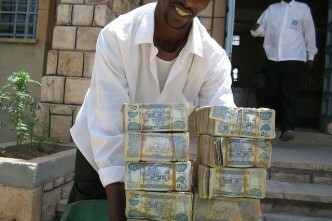 AusAID had the money. Foreign had the power. The mismatch between money and power was getting out of hand. 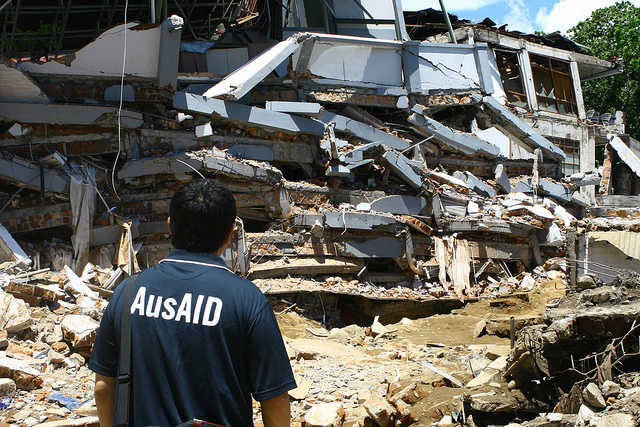 Shoving AusAID inside Foreign completed the demise of Canberra’s golden aid consensus, a brief bipartisan commitment to a big boost in international aid. The gold gushed from the late Howard era through the first Rudd government. The consensus was a product of boom, bible and UN millennialism (Howard’s economic boom, Rudd’s bible). From 2005 to 2010, spending doubled and the aid budget was a protected species. But the lack of political debate about that new protected species reflected the shallowness, not the depth, of the consensus. When Julia Gillard deposed Rudd in 2010 the annual aid budget, in the forward estimates, was zooming towards $8 billion this year, with $10 billion not too far over the horizon. Today, the ‘new aid paradigm’ caps the spend at $5 billion for two financial years; after that growth will be at Australia’s inflation rate. It ain’t small change but Oz is no longer bulking up to be an aid superpower. Gillard started to throttle back the trajectory and choke the golden consensus. Abbott completed the job. Some of the surviving aidies now refer to WasAID. The biggest change in decades in the key institutions of Australian diplomacy prompts this first in a series of columns on DFAT. To look forward, glance back to the last revolution, the merger of the Foreign Affairs Department and Trade Department in July 1987. The differences between the ’87 merger and the ’13 integration are instructive. When Foreign and Trade joined it was as equals, in contrast to the way AusAID was subsumed. Large parts of Trade stayed intact. Plus, Trade kept its Cabinet minister. The marriage of equals meant the old arguments continued and the warring world-views remained, but in a newly intimate setting. The merger took the previous wars between two distinctly different departments behind one set of walls. Canberra lost sight of the entertainment provided by Trade kicking Foreign. And there was less of the old sport of the tradies wrestling Resources or subverting Treasury. The blunt-talking tradies with a set of core goods-and-services skills joined the generalist pinstripes who do internationalism in the voice of pragmatic realism. The swearing got more colourful, perhaps more agricultural, reflecting the tradies’ Country Party heritage. The ’87 merger was a key moment when the lawyers and politics/arts graduates of the pinstripe mainstream had to make room for a lot of economists. The econocrats made huge gains across all of Canberra in the last decades of the 20th century and Foreign was one citadel that fell quickly. These days, many Australian ambassadors spend two-thirds of their time working in the Trade and Investment space. The ’13 integration is different. The aidies caricature is new age and NGO, with a different set of economic skills and world view. The aidies were always part of the Foreign family; now they have to move back into the family home and give up independent ways. The staff devastation of the past year has been stark. The AusAID integration meant cutting numbers by 11–12%, casting out 500 people from the new DFAT. Some parts of AusAID were small enough to be quickly absorbed, diluted and sprinkled around DFAT. Other aid areas—Indonesia, Papua New Guinea—were too big and had too much weight and money for such treatment. 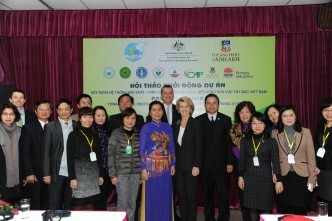 The project knowledge and the specific country-expertise AusAID brings should add heft and broaden the DFAT view. How much of that translates into core policy is the big cultural question. Based light years away from the Parliamentary triangle, across the lake in Civic, AusAID had evolved into an interesting and diverse institution. The aidies ran a sophisticated, rich NGO, with a colourful culture that still managed to be puritan about money and contracts. The higher values were multilateral, humanist and liberal. Foreign Affairs comes from the old External Affairs Department. 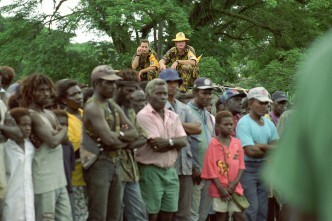 Aid, though, comes out of Territories—the colonial experience of running PNG. One heritage is private school, the other patrol officer. The aidies think more deeply and constantly about the South Pacific than the pinstripes. Aidies who spend most of their career in the South Pacific are doing core business; a pinstripe concentrating on the Islands is making an unusual and limiting career choice. For aidies who’ve survived, this does not feel like a marriage. Think being sold into service. It’s a fascinating service with broader career opportunities. But the aidies are going to have to think like pinstripes and swear like tradies. Graeme Dobell is the ASPI journalist fellow. Image courtesy of Flickr user dfataustralianaid. 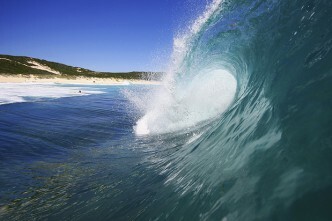 A new wave for Foreign Affairs? Aligning Australia’s diplomacy, aid, and trade: national security remade?